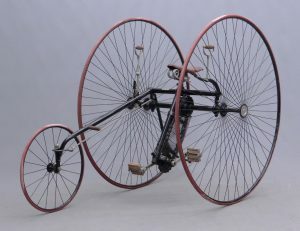 Very unique and rare (possibly only one in the world) high wheel with leading and trailing dual steering. 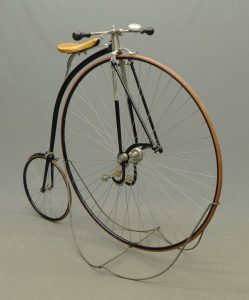 28" wheel, wooden rims with 12" wheels. 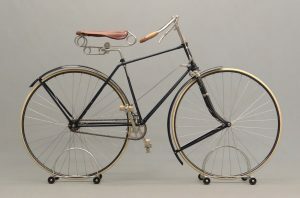 Retains tapered wooden handle bars, very unusual "band" brake, wood and metal frame. Auctioneers note: many years ago when we were dispersing the Pope Manufacturing Co. reference library I saw this machine in one of the bound volumes. I remember it as being created in a mid-west college for hearing impaired students. I copied the information and sent it to David. Very rare machine. Very good condition. David Metz Museum. 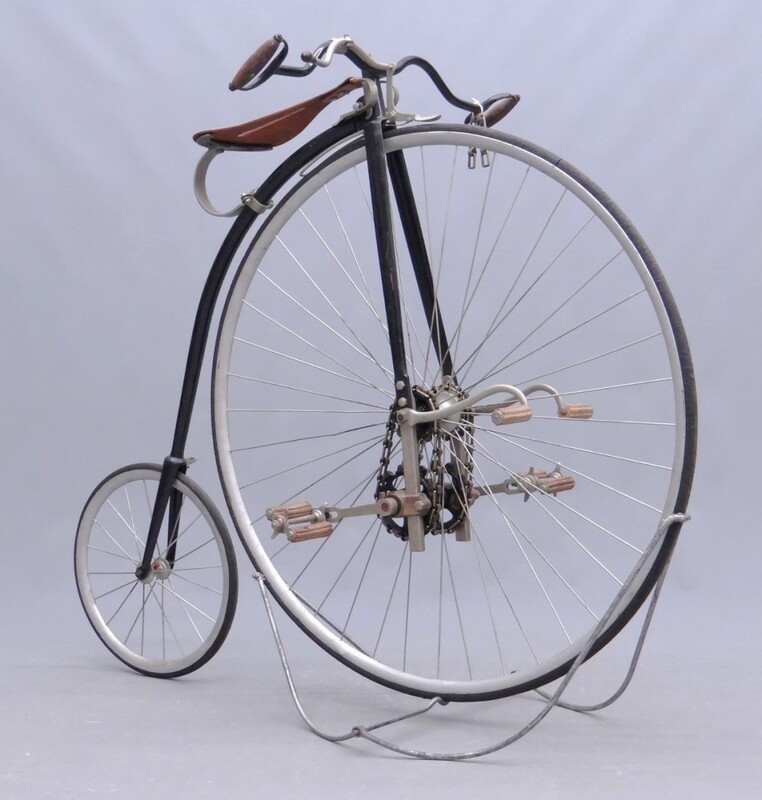 C. 1885 Rudge "Kangaroo" high wheel safety, 40" chain driven front wheel. Older restoration, retains Kirkpatric style saddle with new leather and stamped "Pat. 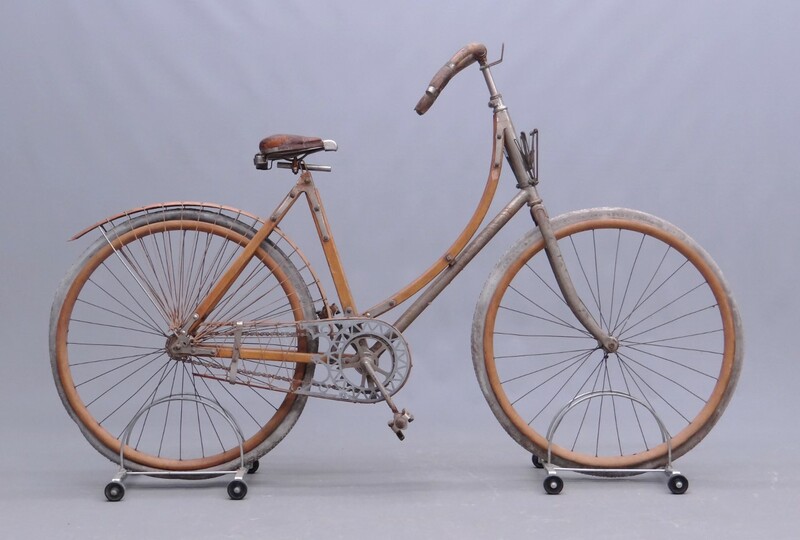 1885", elongated coaster pegs, rear step, complete brakes, proper pedals. 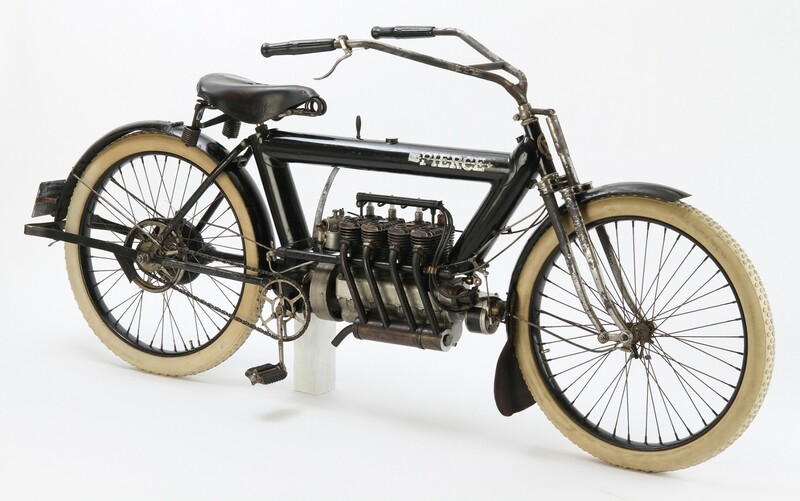 SN # 2159, back bone stampled "Rudge & Co Rudge Safety". 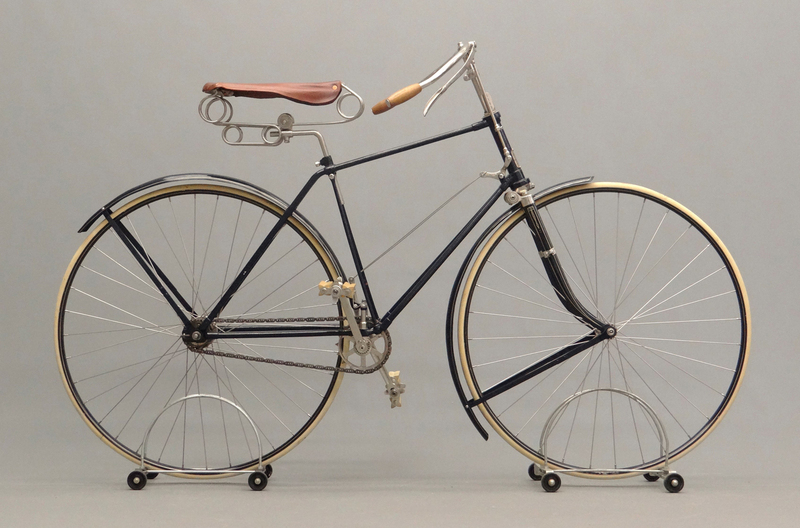 Older restoration, very good condition. David Metz Museum. C. 1850 Ward Quadracycle. Very rare example attributed to J. Ward, coachmaker Leicester Square London. Also refered to a "pedomotive carriage". 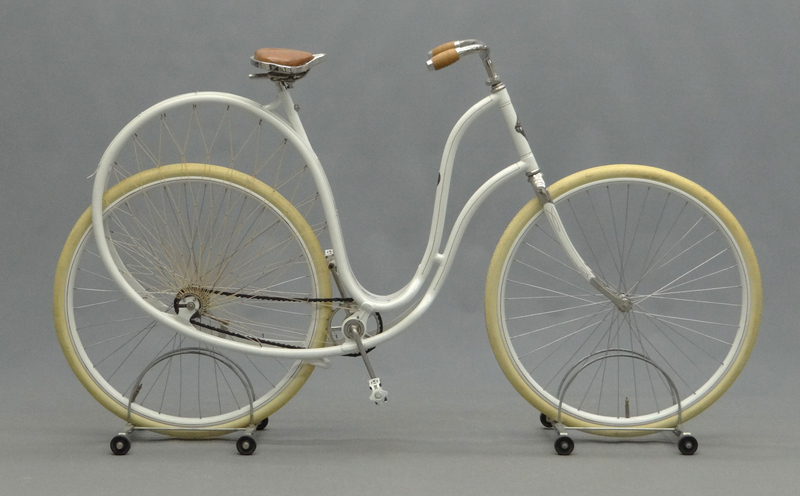 42" wheels, 84" L. x 32" W. Excellent restored condition. David Metz Museum. C. 1892 Telegram, patented by Frank H. Bolte, made by Sercombe-Bolte, Mfg Co. Milwaukee, WI. Front wheel driven, 30" x 24" diameter wheels. 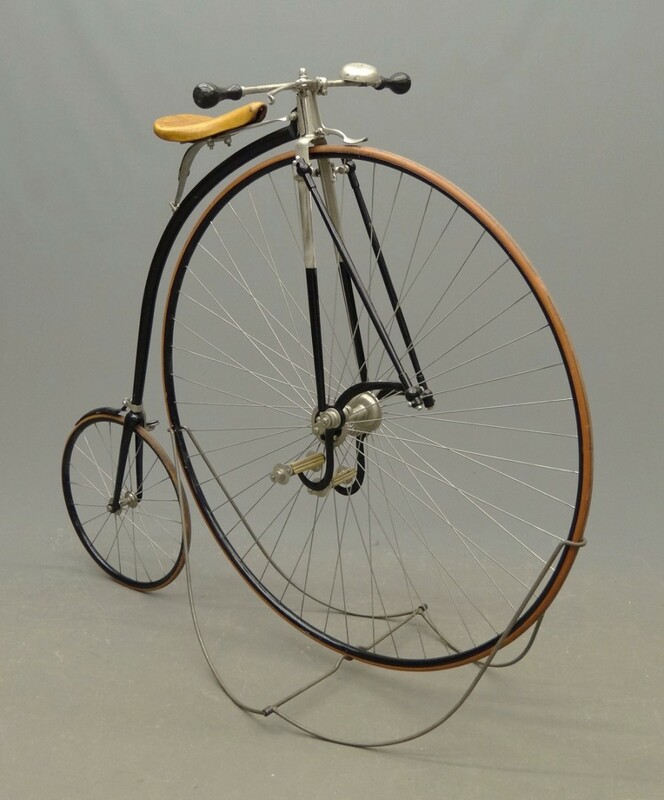 Only known example, restored and rideable. Illustrated in Collecting and Restoring Antique Bicycles by G. Donald Adams (fig. 7-34, page 218). 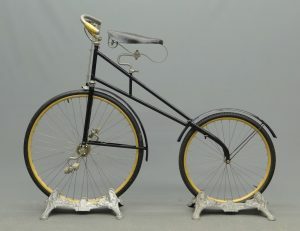 Tags: "Telegram", Bicycle, Frank H. Bolte, Pedaling History Museum, Sercombe-Bolte Mfg. Co.
C. 1887 G & J "American Safety"
C. 1887 G & J "American Safety". Extremely rare, about 10 known. Restored. 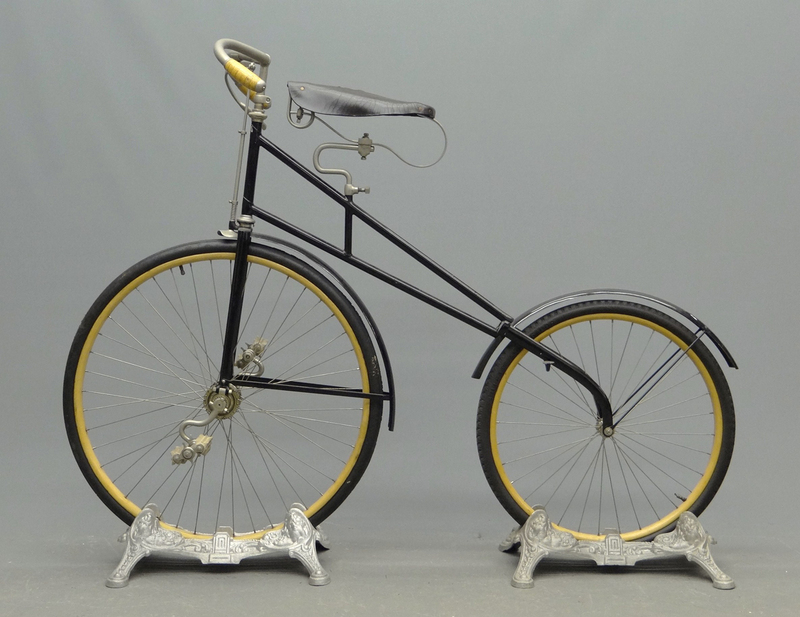 C. 1898 Comet wooden framed female pneumatic safety, Comet Cycle Co. Toronto Canada. 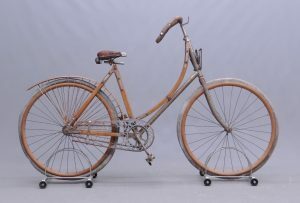 20 1/2" frame, very original unrestored condition, nickel plating worn. "Lucky Tread...made in Canada for Canada Cycle and Motor Company Limited" tires. 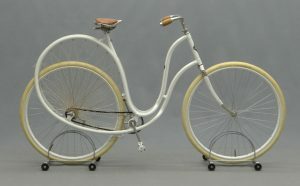 Retains wooden chain guard handlebars and rear fender, "Smith Hygienic" saddle, folding basket. Unrestored very original survivor. Good condition. 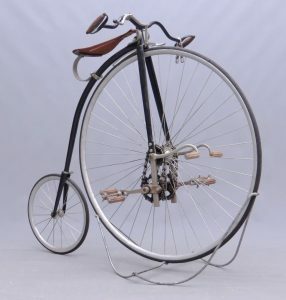 c. 1890 "The Rochester" manufactured by Rochester Cycle Mf. 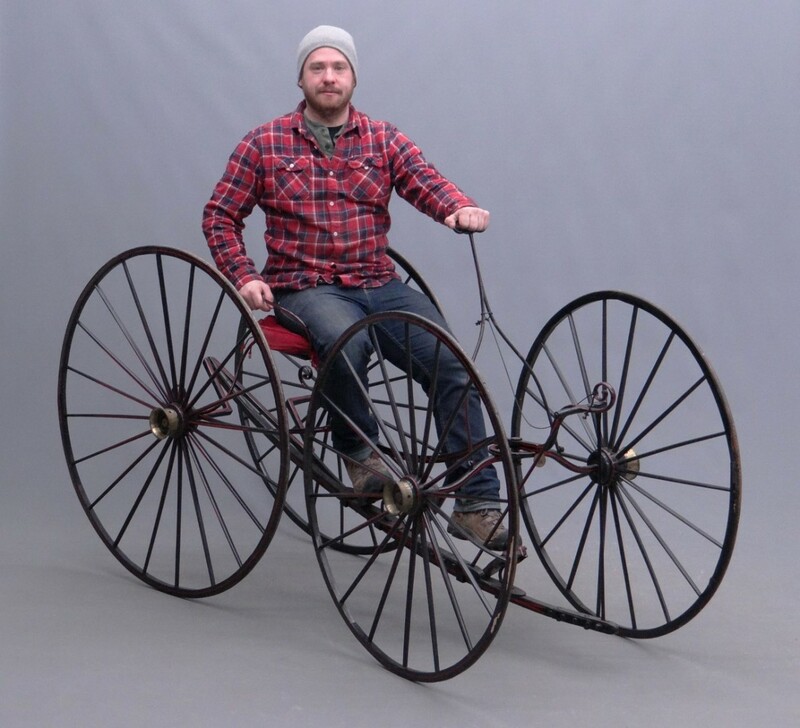 Co, Rochester NY, 31 " wheels, 20" frame. Stunning restoration. Lot includes envelope from manufacturer. 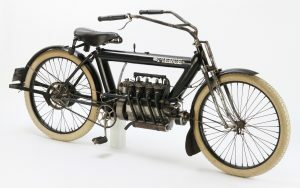 Note twin tube frame and front suspension, very unique and sophisticated machine. Excellent restored condition. 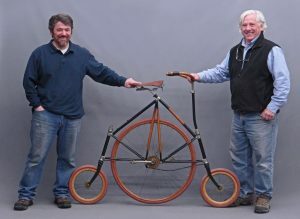 Rare example of a Columbia "Two Track Tricycle"
Rare example of a Columbia "Two Track Tricycle", 48" rear, 22" front wheels. Pope Mfg. Co. Retains name badge. 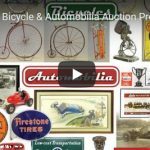 Complete rideable very good condition. David Metz Museum.